2019 ACM Awards: George Strait and Miranda Lambert Perform "Run"
Country music stars George Strait and Miranda Lambert teamed up to perform "Run" during the 2019 ACM Awards! Watch a clip here! 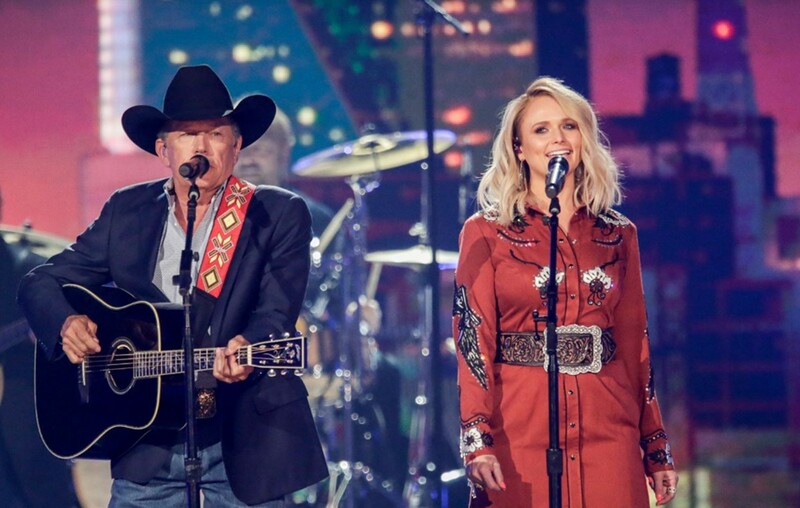 During the 2019 ACM Awards show on Sunday, April 7th, country music stars George Strait and Miranda Lambert performed the icon’s “Run” together. Watch the two join forces in the complete video below! The song “Run” was written by Anthony Smith and Tony Lane, and released by Strait in September 2001 as the lead single from his The Road Less Traveled album. The song peaked at number 2 on the Billboard Hot Country Songs charts in December 2001. It also hit number 34 on the Billboard Hot 100, making it a minor crossover hit. Share George Strait and Miranda Lambert’s performance with other country music fans!